When heading out to take care of the latest horde of zombie walkers, you should make sure that you are well-equipped for your task. 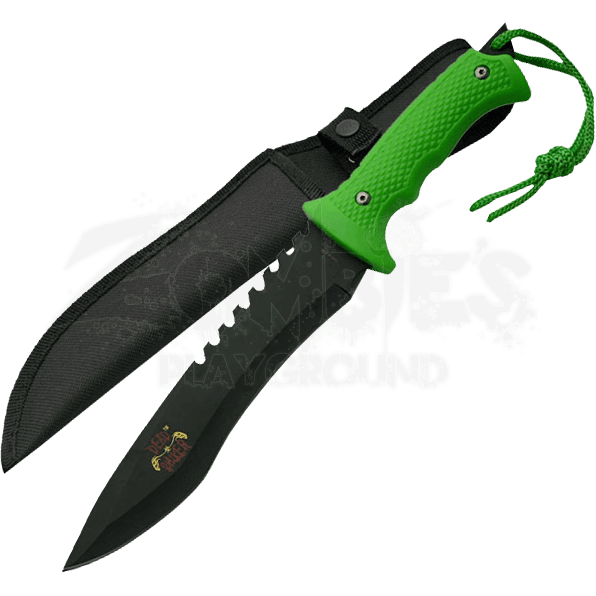 The Green Dead Walker Sawback Knife displays a zombie green handle and a blackened blade finish. This drop point knife has a slightly curved belly and features sawback serrations along its back. The handle is contoured for a comfortable hold and textured for security, made of a neon green ABS plastic. This Dead Walker Knife has a glass breaker with a lanyard hole, increasing its overall functionality. 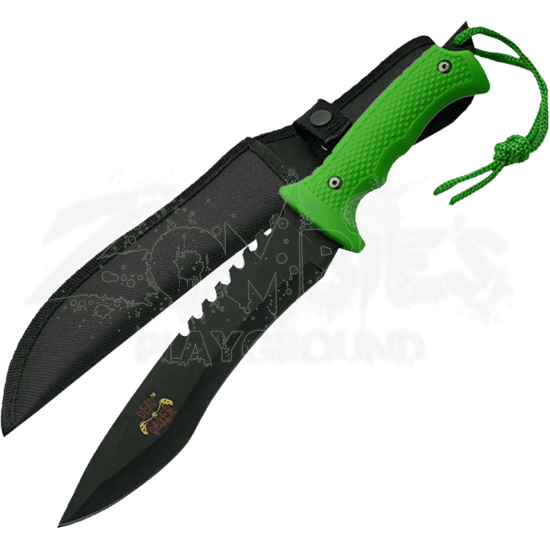 The zombie hunter knife comes with a sheath that can be worn on a belt for your convenience. No one will be safe until the undead masses have been completely eradicated, making it a great idea to keep this sawback knife close by at all times.